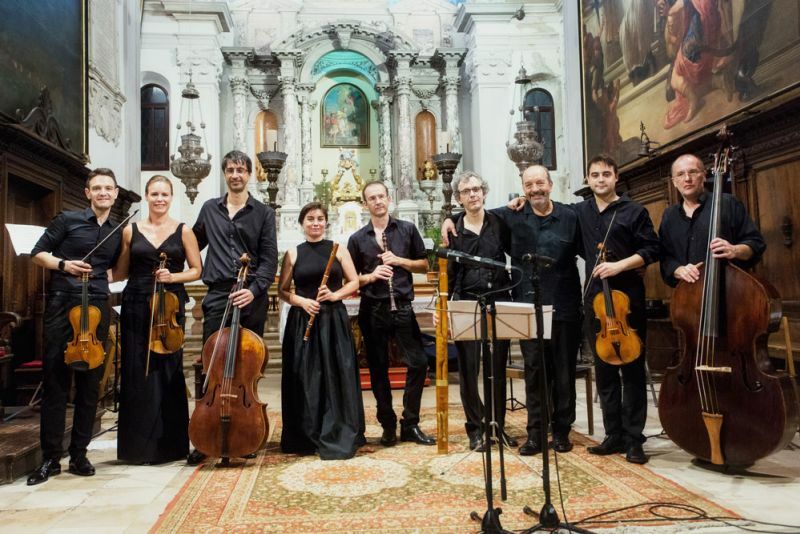 An international ensemble was founded in 2005, one that also performs its repertoire on baroque instruments and accompanies famous soloists at festivals. The ensemble is composed of members of various international orchestras and operates under the art direction of the famous Sergio Azzolini. The festival ensemble tours the wider European region and transcends local interests increasing the visibility of the Slovene cultural scene in the wider international public with its performances at important European festivals, such as: the Ravello Festival, the Emiglia Romagna Festival, the presentation of Slovenia for the Council of Europe in Luxembourg. Preparations are under way for the recording of a CD with pieces by Slovene and European composers of the 17th and 18th century (Vivaldi, Tartini, Gabriello Pulitti, Isaac Posh). The old medieval town of Piran with its narrow streets and tightly packed houses has for centuries reigned over its namesake bay.The old medieval town of Piran with its narrow streets and tightly packed houses has for centuries reigned over its namesake bay. Koper first strikes the visitor as a mysterious Mediterranean town, surrounded by the sea and the hills, jealously guarding its rich, thousand year old heritage.